New Castle Drafting & Design Inc. can design your custom home, addition or renovation, to give you a set of house plans that reflect YOUR vision. New Castle Drafting & Design Inc. is a full service drafting and design firm, specializing in architectural and custom home design. We have been serving local architects and developers, engineers, contractors and local businesses with state-of the-art computer aided services for nearly 50 years. 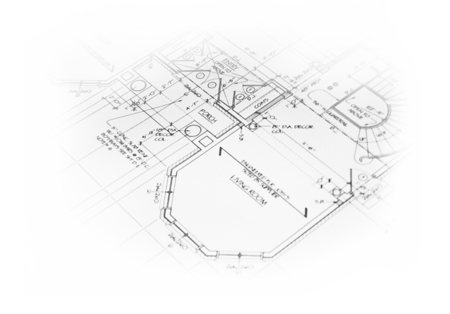 With the aid of CAD software and our extensive knowledge of drafting and design, we are experts in preparing computer-generated, detailed working drawings and blueprints from both ideas and rough sketches as well as specifications. We stand behind our reputation, which has been crafted by the quality of services we provide to our clients. Got an idea for a your dream home, but don’t know where to start? Let us help! We can help you analyze your needs to design a home to fit your budget and space requirements. We'll work with you to finalize your house plans, visualize your new home on the site before you build, and help you to find cost effective design solutions to make your dream a reality. 2,500 sq. ft. and over"
© All rights reserved, 2011, New Castle Drafting & Design Inc. Website by RealAssist.